Dispelling the rumours that Yoga is for those who can put their foot behind their head, this class focuses on improving flexibility, mobility, co-ordination and balance. 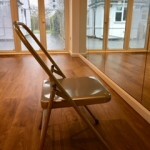 The class is conducted from a chair using simple poses and moves designed to release tension and gently challenge stiff areas to allow greater freedom within the body. Suitable for anyone who feels stiff or restricted in their movements and would find it a challenge to get up and down from the floor unaided.